Terry Tires is a family owned business in Jacksonville, FL, that offers a wide range of tire services, as well as great prices on name-brand, high-quality used tires. With more than 30 years of experience, we deliver prompt and professional tire services that you can count on. Our inspections, routine maintenance services and installations keep your tires safe and dependable. Keep your tires in top-notch condition by staying up-to-date on routine tire maintenance. We specialize in all of your tire needs from repair and replacement services to tire balancing and rotating. 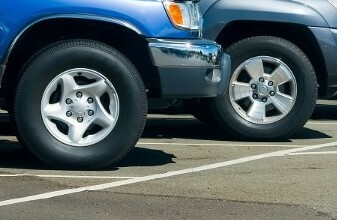 Having tires that are properly balanced and regularly rotated ensures your safety while driving. Maintained tires also provide more comfortable and quieter rides, efficient fuel usage and less stress on your suspension system. Caring for your tires prevents premature wear and tear. Unsure if you need new tires? We can help. Our mechanics inspect your tires and we will determine if a repair, part replacement or new tire installation is needed. We offer a selection of high-quality tires from major name brands and can assist with your comparison shopping. For deep discounts, we offer full-inspected used tires that are available as singles, pairs and full sets. Included in our extensive inventory are custom rims and wheels. You can shop for rims from leading brands such as Cragar®, Cruiser Alloy® and Pacer®. Yulee, Garden City, Sea Breeze, Jacksonville North Estates, Biscayne, Duval and Pecan Park.